Welcome to the Captain: Time to Cancel It or Worth Saving? Last night was the third episode of CBS’ new sitcom Welcome to the Captain. Despite an impressive cast that includes Jeffrey Tambor (Arrested Development), Raquel Welch (Central Park West), and Joanna Garcia (Reba), the series doesn’t seem to be very welcome in the homes of viewers. Welcome to the Captain debuted on February 4th and is the midseason replacement for CBS’ freshman hit The Big Bang Theory. The first week’s episode attracted 7.9 million viewers and a 2.6/7 rating/share of the 18-49 demographic. The second episode dropped to 7.1 million but stayed consistent with it’s percentage of age 18-49 viewers. Last night’s episode dropped to 5.45 million viewers based on the overnight data. The 18-49 demographic dropped to 2.0/5. With numbers like these, it’s unthinkable that Captain will be welcomed back for a second year. There are six episodes that have already been shot. If CBS’ other sitcoms can get back into production and produce some new episodes finished in the next couple weeks, it seems likely the network will pull Captain before the remaining three episodes have aired. Is it time for the sitcom to go or is it worth watching? Stay tuned! Reba: Reba McEntire Sitcom Returns, But for How Long? Reba: A Last Minute Cancellation? I actually liked that show it was pretty funny. I really want to kiss Stan Thermans wife right in front of him as he is fetching me a beer! WELCOME TO EL CAPTAIN RULES *******! That’s really a shame. Welcome to the Captain is so much more fun then Big Bang theory. I mean the jokes in BBT are so not funny and the acting is bad. Save Welcome to the captain!!! Please save Welcome to the Captain! It is a very funny show!!!!!! It took me 2 episodes to get into it and now i love it!!!!! Give it another chance! 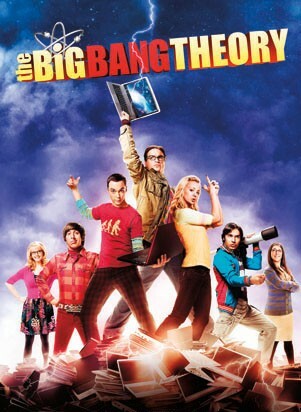 My wife and I both enjoy BBT I’m so glad its coming back. As long as CBS doesn’t mess with its day and time slot it should do fine.